Is our optimism level fixed or can we change it? Even more telling is the evidence from a study of over 500 twins, some of which were brought up in the same household while others were adopted and grew up in different households. 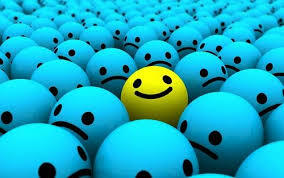 It found that only about 25% of an individual’s optimism is inherited. The rest is determined by the environment and by the individual’s efforts. Many of us could use a boost in our optimism, especially as we age and our dispositional optimism declines. Is this possible? The answer is yes. Psychological research conducted over the past five years or so has shown the value of one effective and easily adoptable intervention to boost optimism. Visualize your best possible future self as vividly as possible. When you have at least 10 minutes of free time or more, envision yourself in a future that has turned out to be the rosiest that is possible (and feasible). It may help to pick a particular time-point in the future, say 10 years from now. In this future, you have reached all the goals you had set for yourself, you have climbed the pinnacle of your dream career, you have found the soul-mate and love of your life, you are in peak physical shape, you have friends who are trustworthy and caring, and so on. You get the picture. Visualize what such a future will be like and feel like to you in as much detail as possible. What is neat about the "best possible self" exercise is that it is flexible. It can be limited to one particular domain of your life, say your professional goals and success, or it can be about multiple life domains, or even your life as a whole. Additionally, you may write down the thoughts that come to your mind with pencil and paper, or type them on a computer. Or you may simply visualize the positive future by speaking about it out loud or even simply in your mind without writing or saying anything at all. You may sit, stand, or lie down when doing this exercise. In essence, the act of concerted, vivid, positive imagining is the core of this exercise no matter how you do it. Visualizing your best possible self is not meditation practice. This visualization is different from meditation practice on many levels. In meditation practice, practitioners focus all their attention on one specific object or idea and try to exclude all other thoughts from their mind. For example, they may count breaths, focusing on the phenomenon of breathing in and out. The meditator’s attention is entirely in the present. In contrast, visualizing your best possible self encourages thinking about your rosiest future scenario in as much detail as possible. Spanning across possible occurrences and events is part of the exercise, and the more vividly your imagination can conjure vivid scenarios, the more successful this exercise is. Visualizing your best possible self it is an active and targeted form of daydreaming. This visualization exercise has impressive payoffs. In a 2011 study conducted by psychologist Sonja Lyubomirsky and her colleagues, motivated students performed the best possible self exercise for 15 minutes each week for 8 weeks. They experienced an increase in their happiness not only after 8 weeks, but maintained this increase six months later. In another 2011 study, participants wrote about their best possible self for only five minutes in one of three domains – personal, relational or professional. They repeated this exercise every day for two weeks. Compared to a control group, participants performing this exercise showed marked increase in their optimism. They also experienced a more positive mood. In a 2013 study published in the journal PAIN, a single fifteen minute task of writing about the best possible self resulted in lower pain ratings afterwards. The authors suggested that pain experience was lower because participants paid relatively less attention to the aversive aspects of the painful experience. A 2013 study conducted by Kristin Layous and her colleagues found that participants who were provided with a testimonial praising the exercise showed even greater increases in optimism and happiness after performing the exercise weekly for four weeks. At this point, there are dozens of studies showing similar results. What should we conclude from this research? Simply this: Even if you perform the best possible self exercise just once, your optimism will get a temporary boost. And if you perform it repeatedly, say every night, or a few times a week, there will be a persistent spike in your optimism. What is more, your mood will also improve and you will feel happier. In recent years, many people have embraced mindfulness practice, are performing it regularly, and are enjoying its benefits. Isn’t it time to also adopt this easy and pleasurable activity of visualizing your best possible self to boost your optimism?